The firm Historic Newspapers has produced a WW1 teaching aid which they are offering to schools free of charge. they have kindly sent me a copy, and I am rather impressed. It is a booklet of twenty-six newspaper pages from the War, and tells the story as it would have been received by readers of the Daily Sketch and the Star. It begins with an issue celebrating the arrival of the BEF in France, and goes on to chronicle the death of Nurse Cavell; the retreat from the Dardanelles; Jutland (‘How our Navy stopped Raid on England’); the death of Kitchener (‘Tears in the War Office for England’s Greatest Soldier’); London air raids (‘Law Court Stoics: Judge and Counsel Not Worried by Frightfulness’); the capture of Jerusalem; and finally the Armistice (‘Kaiser’s Flight to Holland: Haggard and Near the Breaking Point’). I wish the paper had managed to get a photo of that sheepdog. 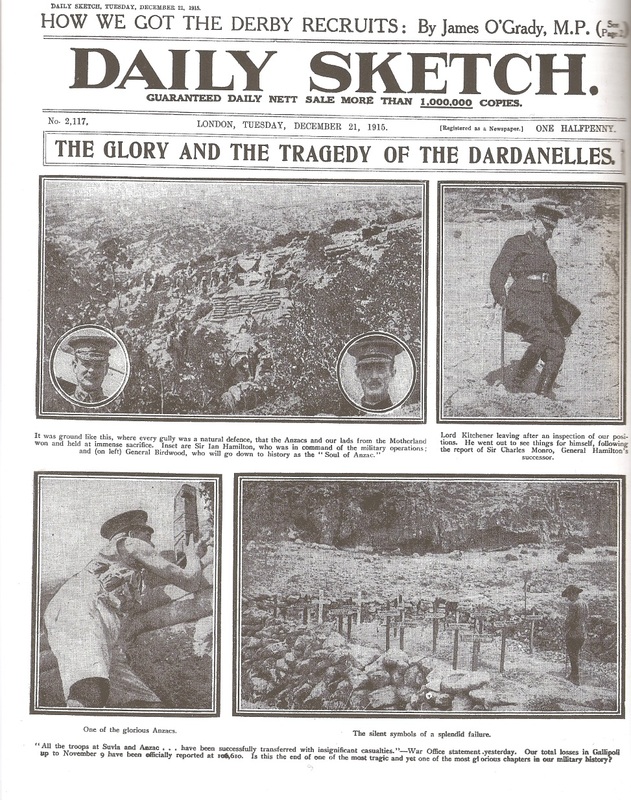 For more information about the booklet and other resources, teachers should contact historic-newspapers.co.uk. This entry was written by George Simmers and posted on May 17, 2014 at 9:36 am and filed under novels. Bookmark the permalink. Follow any comments here with the RSS feed for this post. Post a comment or leave a trackback: Trackback URL.